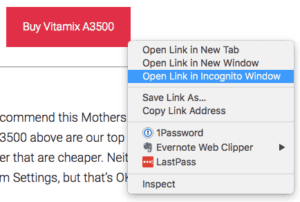 Vitamix E310 Review – What Makes It The Best Blender? Blenders are an awesome way to change your lifestyle, eat healthier, and even lose a lot of weight, as Joe Cross did in his documentary, Fat, Sick, and Nearly Dead. But at what cost does it take to have a premium kitchen appliance that is capable of making vegetables and fruits as tasty and palatable as possible? When I first saw a Vitamix demo at Costco, I knew I wanted one then and there. But the price just wasn’t in my budget. I went online and discovered there was another competing brand called Blendtec (K-Tec at the time) and it was under $300. It fit my budget better than the Vitamix so I bought it online, sight unseen. It took me many years later to buy a Vitamix, when my budget was considerable larger. But that’s all about to change…. Who Shouldn't Buy A High Performance Blender? Who Should Buy The E310? Who Shouldn’t Buy The E310? WHAT DO OTHERS THINK OF THE E310? 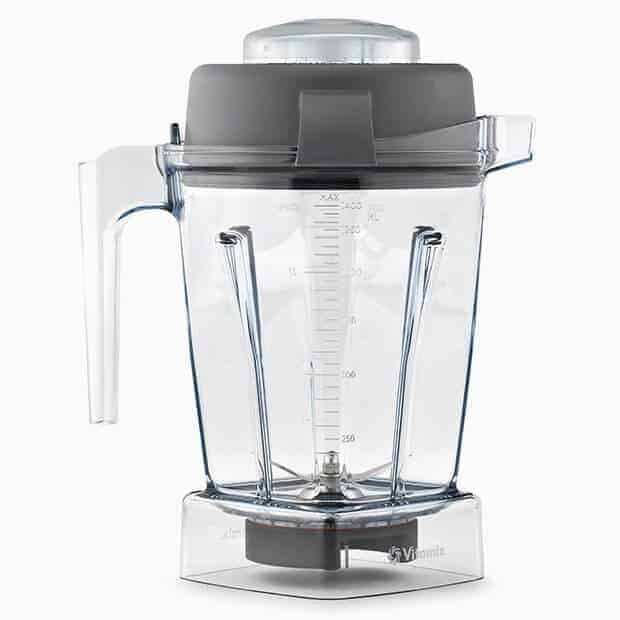 High Performance blenders, such as the ones VItamix sells, are capable of turning your fruits and vegetables into the most delicious smoothies and soups around. If you’ve ever tried to make soup with one of those home-grade $50 blenders, you’ll probably end up like I did with a melted drive shaft (and that was an expensive, all metal, $150 blender). Or a frozen smoothie, that is full of bits and chunks of frozen fruit. With an unappealing lumpy texture. Successful smoothie restaurants such as Jamba Juice are proof that the right commercial-grade blender can make all the difference in turning fruits and vegetables into a delicious smoothie. The ideal person for a commercial-grade blender is one that is serious about changing their diet, lifestyle, or health. There’s really not a short-cut to “try” this out at home with an affordable $50 blender expecting to get the same quality of smoothie you can get at a Jamba Juice. These kinds of blenders are an investment that could last a lifetime. But they could become yet another kitchen appliance stuck in the back of a bottom kitchen cabinet. 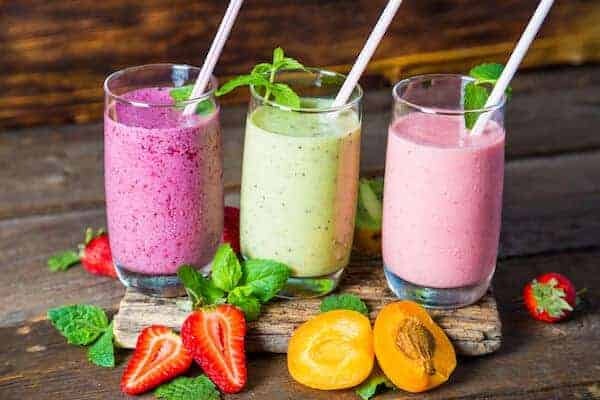 Give a local smoothie restaurant a try, a couple times a week for lunch or dinner and see if this is for you before the investment in a blender for your home. LOCATION: Where will you plan to put it on your countertop? It’s highly recommended that these kinds of blenders be left out on your countertop when not in use. They aren’t some light-weight thing you can easily pull in and out of a cabinet. And anyways, aren’t you trying to change your diet? Keep it convenient and find a permanent home on your countertop. BLENDER HEIGHT: It’s most common to store the container on top of the blender base. So consider the total height of the blender + container in determining if it will fit under your upper kitchen cabinets. POWER: 2 HP is the minimum. And be wary, these numbers are easy to define in different terms. But in general, 2 HP should be considered the minimum to getting professional type smoothie results. 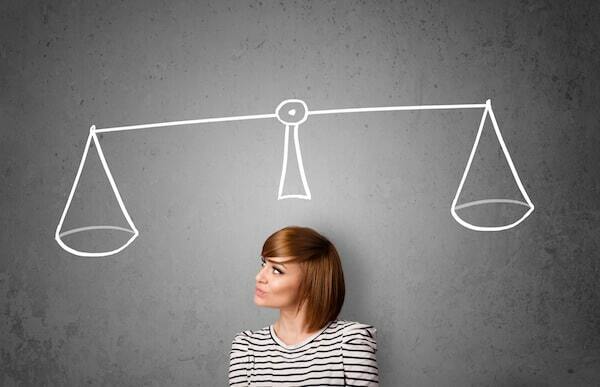 WARRANTY: Does the manufacturer stand behind their product and offer a 30 day warranty or a 5 year warranty? As with anything you buy, the longer the warranty usually means the product uses higher quality components such as bearings, motors, mounts, gaskets, knobs, etc. Manufacturers have smart accountants and they do the hard math with their engineers to figure out how long most products will run without needing a repair under warranty. RETURN POLICY: Does the manufacturer offer a 30 day trial? It’s very difficult to see if this blender will work for you when you can’t try it out before you buy it. And watching a professional demo it isnt’ the same thing as you trying to do it yourself at home in your own kitchen? 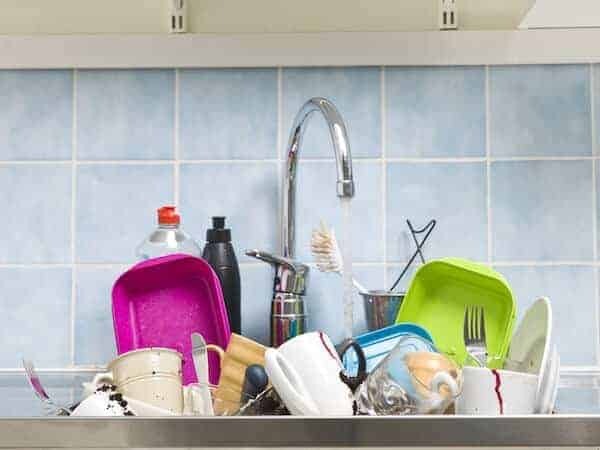 EASE OF CLEANING: This may sound like a very simple thing to downplay, but believe me, it is probably the biggest reason why people stop using a kitchen appliance. I have several doo-dads and kitchen gadgets I’ve bought over the years, such as the motorized garlic peeler. Yes, it is super fast! But when you combine the time of peeling + cleaning the garlic peeler, it takes me longer to use the motorized tool. So most times, I just skip it and do it manually with a cutting board and a knife. Same goes for a blender, if it’s difficult to clean or takes a while to clean, you probably won’t use it as often as you’d like. CONTROLS: This topic is an entire article unto itself. The list is long, including Programs, Pulse, Variable Speed, High Setting, etc. LOUDNESS: These are industrial grade blenders, with huge motors in them. And they can blend loud ingredients like frozen berries, ice cubes, etc. So sound should definitely be considered. 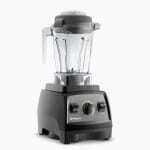 Vitamix has historically used their line of Certified Refurbished blenders to hit a lower price point. But they have a tremendous new solution that fills the need for a lower priced blender without skimping on quality or performance. 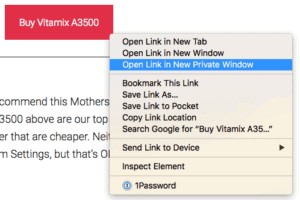 Intro….The brand new Vitamix Explorian E310! Vitamix has been busy in 2017 with the launch of two new product lines, the Vitamix Ascent Series and the Vitamix Explorian Series. 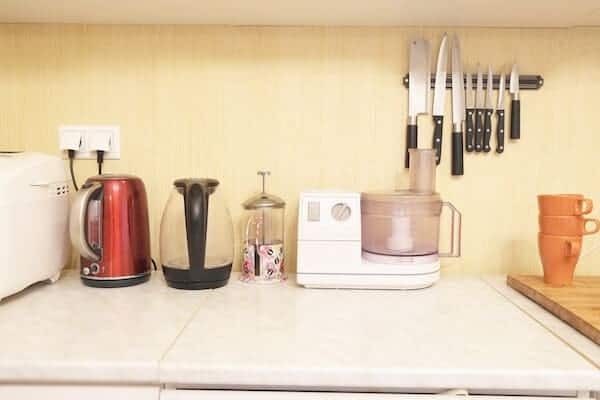 With the Vitamix Ascent they went upscale and brought on incredible features never before seen on a blender (such as their Self-Detect Technology and Full-Size / Personal-Size containers). In October of 2017, Vita-mix released the Explorian Series, and the first blender in that series is the E310. The E310 hits that sweet spot of an entry-level price, with all the features and capabilities of their older Series such as the 5200 Classic-Series. Performance – It has the power to deliver results like any of the other blender lines. 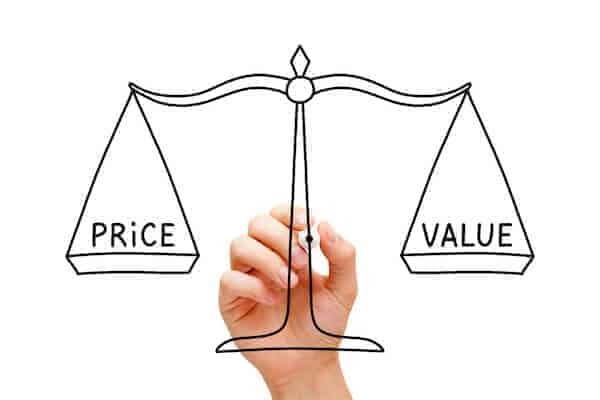 Don’t let the low price fool you. Simplicity – It’s like an iPhone, you can use it basically without reading the instruction manual. There’s an on/off switch, variable speed from 1 – 10, and a pulse button. It’ll take all of 30 seconds to become an expert. Programs – It only has manual controls, so it can’t do set-and-forget blending. Sound – It isn’t as quiet as the newer Ascent blenders. The Vitamix E310 is perfect for those shopping for their first high performance blender. It can also be a great upgrade for those needing to replace an older Classic Series blender such as the Vitamix 5200. The controls and power are very similar, so the switch to the E310 will be easy. It is also the best blender for someone on a budget. It doesn’t have all the features and capabilities of the Vitamix Ascent line, but for many, an on/off switch and variable speed controls are all they need. And for many chefs, they still train on the legendary 5200 that has basic controls. The Explorian E310 isn’t for everybody. The container is only 48 oz, and it’s a narrow body format. Many longtime blender cooks are accustomed to the larger 64 oz containers. For most people though, a 48 oz container is large enough. It also doesn’t support the latest trend popularized by the Ninja line of blenders that use single serving personal sized containers. The E310 only supports the use of a full-size container. It can support Vitamix’s personal sized containers using an add-on called a “personal cup adapter” purchased separately. 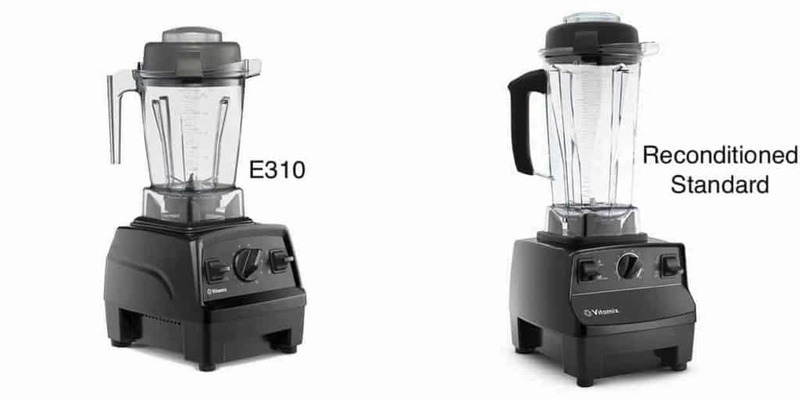 If you’re used to a blender with Programs, the E310 may not be the right blender for you either. Programs are awesome and a big convenience that allows for set and forget type of blending. OK, it’s not necessarily a product feature, but price is what the Explorian and specifically the E310 is all about! There’s no other blender on the market today that balances price and value better than the E310. You could get a Vitamix Certified Reconditioned blender at similar pricing, but for some it’s an icky thought, and for others, it’s tough to find the right model at the right time at the right price since they are limited quantities. Being a brand new blender, the E310 availability will be way better than a Certified Reconditioned model, and it does offer the warranty extension to 8 years as well. 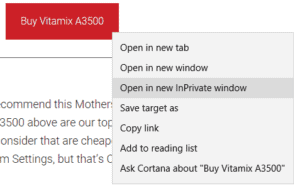 The performance of the E310 is similar to the Vitamix 5200. It uses the same or very similar 2.0 HP motor. The Explorian introduces a new body design. It’s still extremely similar to the older bodies used in the C-Series and G-Series, with some slight visual design changes. From what we can tell, they’re cosmetic and not functional differences. Overall, no biggie here. It’s a nice body design, switches and knobs are high quality, but nothing good or bad to say on the body. The motor is the proven 2.0 HP variety used by Vitamix. Since we’re talking about horsepower, more doesn’t always mean better. Being an engineer myself, calculating the right motor characteristics for the task at hand is the perfect way to balance cost and performance. 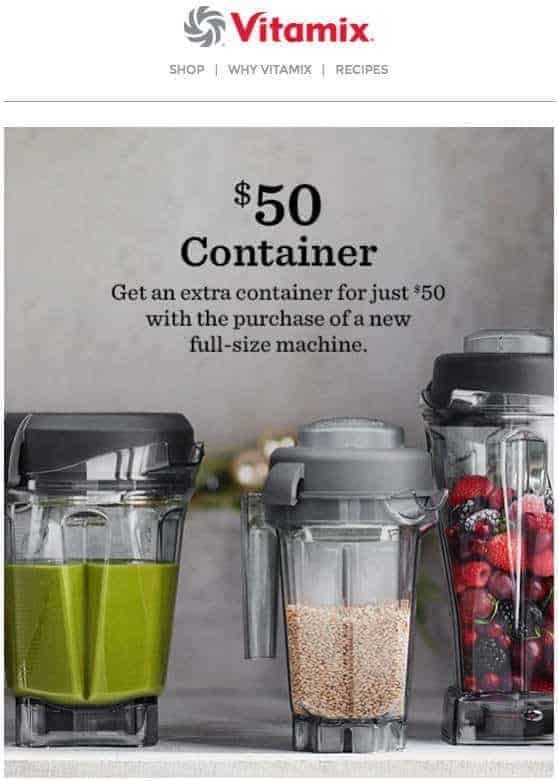 I like Vitamix’s approach where they basically match the motor to the type of containers. For example, the old C-Series uses a 2.0 HP motor, which was a great match for the container and 3” blade size used. Versus on the follow-on series called the Next-Gen which used a 4” blade, which theoretically would require more power to drive a bigger blade, a 2.2 HP motor was designed for use. 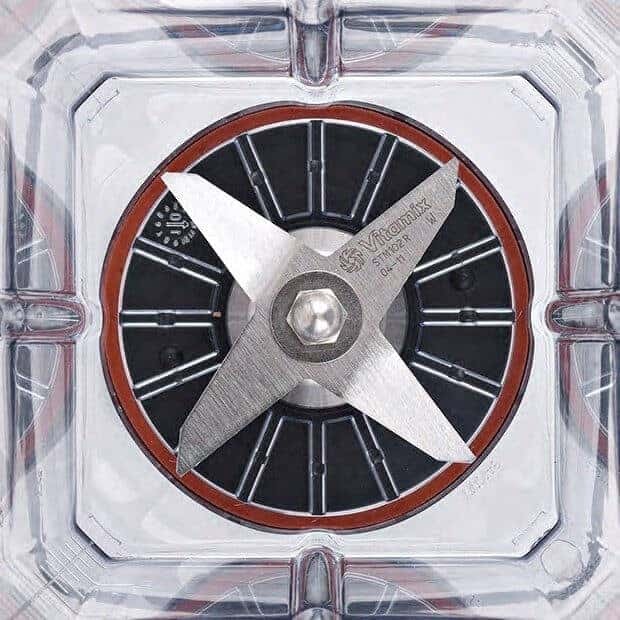 In a nutshell, the 2.0 HP motor for the 48 oz container and any container using the 3” blade is a perfect match for power and performance. 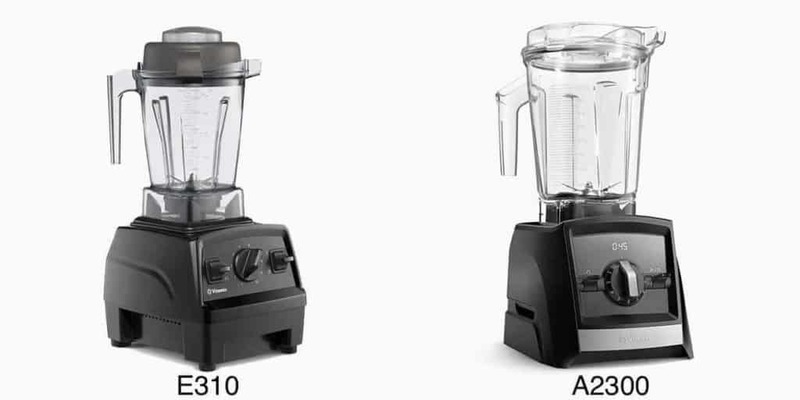 The 5200 is one of the legendary blenders that sold like a zillion of them over the years. One of the challenges was the overall height. See the comparison of the E310 vs the 5200 and pay close attention to the upper kitchen cabinet height. It fits today’s lifestyle more. It’s great for one serving or two. And that’s what is made most of the time when we talk about smoothies. It also can use any of the C-Class containers, so you can purchase separately one of the larger 64 oz containers if you find you need it. But for the money, the target market, the majority of buyers will be perfectly happy with the 48 oz container that ships with the blender. The lid is basically the same as other containers. It incorporates a removable cap to insert the patented mini-tamper. The color and overall shape of the lid looks a little different from the 5200 or 7500, but it functions the same. Rotate knob from 10 back to 1.Press Start/Stop. Empty the water from the container. Rinse the container, lid, and tamper in fresh water. Voila, the blender is clean. Do the clean-up immediately after emptying the ingredients out of the container. We find it is much easier to do it right away rather than waiting, which allows food particles and proteins to bind to the container, blades and crevices. The E310 supports many accessories! Containers that support the Vitamix Self-Detect Technolgy such as the ones used on the Ascent blenders. I’ve never owned one of these, but I think I will have to buy one soon. It is a plastic holder that fits on the bottom of the blender base. And it allows storing the tamper in a space saving upright configuration. In my previous house, I used to store the lid’s cap in the drawer permanently and keep the tamper in the lid as it’s storage spot. But in our new house, the kitchen cabinets are the standard height, and I can no longer store the tamper in the lid. The blade scraper is for those occasions when you blended an oily, sticky type of food in your container and need a way to clean the underside of the blades. The Blade Scraper is a handy tool to thoroughly clean your blender. With a 5 year warranty you can't go wrong. I'm on my second Nutribullet in 3 years which worked great and was in line with my budget but I can see there is just so much difference in performance with this blender. I feel like I can have this for 10-15 years. This is the first high-end blender I’ve used. In the past I’d buy a cheaper one and use it until it died – usually pretty quickly, and live with less-than-perfect results. Since receiving this blender, I see the difference. First – the motor is really powerful and had a lot of torque. Grinding up harder items like nuts or ice is easy. If you’ve decided on a Vitamix, but aren’t certain the E310 is for you, check out our article, Which Vitamix To Buy. Power The E310 is less powered with 2.0 HP whereas the A2300 has a 2.2 HP motor. But again, they use different containers with the A2300 using a bigger 4” blade, thus requiring more HP. Price The Vitamix E310 $$$ is cheaper than the A2500 $$$$$, but you’ll miss out on a lot of advanced features. Key Differentiator Same as A2300 except the A2500 also has Programs. They are a huge timesaver. Blender Height The E310 is shorter than the Reconditioned Standard and the difference is dramatic, being able to fit underneath an upper kitchen cabinet or not. Legacy The E310 is all new for 2017 and the Reconditioned Standard (basically 5200) has been out around since 2007. The Reconditioned Standard blenders are now often sold out. Key Differentiator These are very similar blenders, with the biggest difference being that the E310 ships with the low profile container, thus allowing it to fit underneath most upper kitchen cabinets. Blender Height The Vitamix E310 is the perfect counter height at 14.5” tall, whereas the Ninja CT805 is 18” tall. The CT805 will not fit underneath most upper kitchen cabinets. Power The E310 is clearly a 2.0 HP motor, but the specs are unclear for the Ninja CT805 as its only spec listed is 1500 watts. If you do the math and assume all variables and efficiencies are the same, then it can generally be assumed the CT805 also has 2.0 HP. Warranty Big differences here, the E310 has a much longer warranty and confidence inspiring 5 year warranty (extendable to 8 years), whereas the Ninja CT805 only comes with a 1 yr warranty and offers no extension options. Return Policy Vitamix the manufacturer offers a 30 day no-questions-asked return policy to allow for in-home trials. Ninja doesn’t have a similar program, so whatever your retailer allows is what you can get. Controls The E310 offers simple and basic controls, whereas the CT805 has an elegant backlit display with a variable speed knob, 6 buttons, and several Programs options. The CT805 has the E310 beat as far as controls go. Why Buy If the CT805 at $ is in your budget and that’s all you got, this is the best blender on the market to buy if you can’t afford to buy the E310. If you can spend a little more and afford the E310 $, we think you’ll find much greater value in it over the long run. The Vitamix E310 is the perfect blender for those that are buying their first high-performance blender, or those replacing an aging or broken Classic-Series such as the 5200. Vita-Mix finally answered the market demand for a Vita mix blender that has a lower height and smaller container. The Explorian E310 solves the #1 biggest complaint that a Vitamix costs more than $500. The price point is in the $300 range. And that’s for a brand new, never been used model. Click below to check the latest price on the Vitamix Explorian E310 blender!